Drake McGruder is a 2006 graduate of the University of Arkansas Department of Biological and Agricultural Engineering with a B.S. degree in Biological Engineering. Upon graduation, he went to work as a Quality Engineer with Baxter Healthcare Corporation in Mountain Home, AR. While at Baxter, he provided engineering support in electron beam sterilization, cellular therapies, and the needles departments through the use of statistical analysis, process optimization, and validation techniques. Drake also assisted in the product development, design, and implementation of the Litmus Rapid-B Bacterial Transport Swab System that allows food processing and medical device manufacturing companies to more rapidly detect pathogens in their processes and products. After leaving Baxter, Drake went to work as a Process Engineer for Georgia-Pacific at its Dixie Consumer Products facility in Fort Smith, AR. While at Georgia-Pacific, Drake was responsible for improving productivity and efficiency in the Dixie plate and cup printing processes as well as reducing paper waste due to printing issues. Currently, Drake is at The Kraft Heinz Company in Fort Smith, where he is the Operational Risk and Commercialization Manager. He is responsible for people/property/food safety and security as well as the environmental areas of the facility. Drake assisted the facility in its sustainability efforts to become Zero Waste to Landfill in 2012. This year, the facility was recognized by the Arkansas Department of Environmental Quality as a finalist for its ENVY Award and was also recognized by Food Processing magazine as its Green Plant of the Year. Through Drake’s leadership, the Fort Smith facility was the only one out of Kraft’s 37 plants to go all of 2014 without a single safety event, with a total incident rate of 0.00. In 2012, Drake received a M.S. degree in Engineering, with an emphasis in Safety and Environmental, from the University of Arkansas. 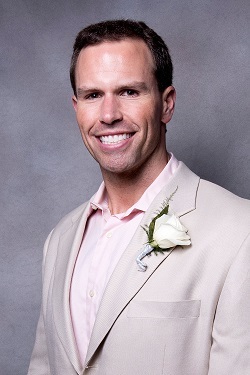 Outside of work, Drake serves on the National Board of Directors of the Arkansas Alumni Association and is also President of the Fort Smith chapter of the Arkansas Alumni Association. He is also on the steering committee for “Campaign Arkansas” for the Arkansas Alumni Association. Additionally, Drake also serves as Vice-President of the Fort Smith Manufacturing Executives Association. Drake was recently named to the Arkansas Business 40 Under 40 Class of 2015.